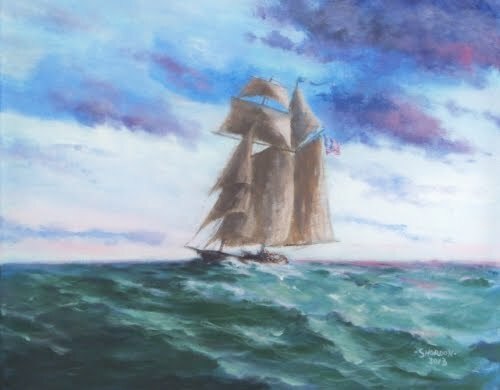 At the end of the 18th century the U.S. Navy needed to protect merchant ships from pirates in the Mediterranean Sea, but the only war ship available was the schooner 'Enterprise'. She was built in Maryland in 1799 and participated in the siege of Tripoli in 1801. She underwent major repairs work in Venice in 1805, and Washington in 1811. Enterprise and Constitution captured the pirate ship Matisco, and in 1813 captured the English brig Boxer. She was sunk in the West Indies in 1823.